courses of teacher education namely b.ed and btc (approval awaited). 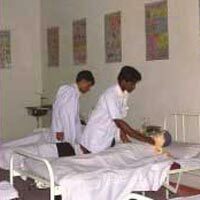 all nursing courses are approved by indian nursing council, new delhi, up state medical faculty, lucknow and affiliated to ccs university , meerut. 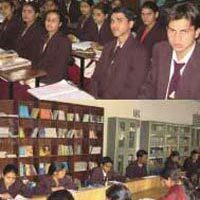 All teacher education courses are approved by ncte and affiliated to ccs university, meerut. The college has an excellent record of outstanding academic performance and 100% placement of eligible students completing nursing course. Strategically located in the heart of the biggest industrial belt of northern india in ncr of delhi i.e ghaziabad, the amogha campus is just 25.5 kms from the downtown connaught place, new delhi- the corporate hub of india. A sprawling campus of more than 11000 sqmtr. With lush green lawns is meticulously planned to provide a congenial environment for the overall development of its students, faculty and staff. It offers a hostel facility on campus for boys and girls separately - a holistic living ambience that contributes significantly to superior academic performance. The accommodations offered by amogha are designed to provide a spirit of independence & freedom but yet are as secure and caring as your home.